Find doll making craft, doll making projects for kids and doll making patterns here. Dolls and crafts related to dolls are all time favorite of little girls. The little girls create their own little world around their dolls. 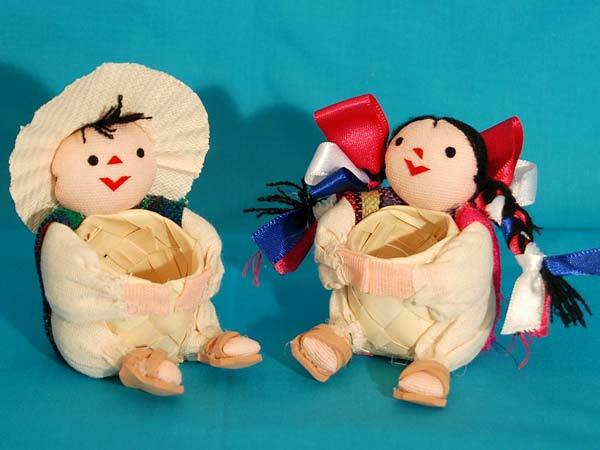 So, what can be a better option than making them learn doll making craft in their vacations? Doll making patterns and projects for kids are very easy to learn. Though a clown pouch may require advanced level of sewing skills, they can be easily made, provided a few steps are followed for the same. You can use the craft to keep letters and envelopes, laundry or your knick-knacks. It also looks beautiful and funky in kids' room. It can be either hanged on the door or on the wall. You may experiment with the face of the clown to give it different looks. You can make a smiling or a sad face, according to you choice. Snowman doll is also very easy doll making craft and kids will certainly love and enjoy playing with these tiny dolls. They can be used as Christmas ornaments and can be used as adornments for wreaths, trees and on gift packs. They also make beautiful winter holiday crafts for beginners, to learn the techniques of sewing and doll making. In our related section, we have discussed about various doll making crafts, which are sure to be liked and admired by you. Though clown pouch may require advanced level of sewing skills, it is very useful craft. You can use it to keep letters and envelopes, laundry or your knick-knacks. You can make it longer to keep more clothes, but be sure that it should not be loaded much. It also looks beautiful and funky in kids' room. It can be either hanged on the door or on the wall. You can experiment with the costume and face of the clown to give it different looks. It is Christmas time and kids are enjoying their holidays, making you mad with their mischief. To make kids busy, why don't you try teaching them some crafts? With some interesting crafts, they will not only enjoy their holidays, but also indulge in their creative. In this context, snowman doll is one of the best options. It makes an interesting playmate for small kids in winters, especially during Christmas and holiday season.